What does good oral hygiene mean to you: Flashing a pearly-white smile? Having fresh smelling breath? Feeling that squeaky-clean sensation all around your teeth and tongue? All of these are important indicators about the state of your oral health — and they’re often the first thing people notice when they meet you. But getting your teeth, gums and mouth really clean, and maintaining that healthy state throughout the day (and in the months between professional dental cleanings) can be challenging. Of course, there’s much more to oral hygiene than just a bright smile. Take tooth decay, for example: Despite all our efforts, it’s still the single most common chronic disease of childhood, affecting two-thirds of U.S. kids aged 12-19. It is 5 times more common than asthma, 7 times more common than hay fever — and it’s almost totally preventable. Several other diseases commonly affect the mouth, including periodontitis (gum disease), which, if left untreated, can lead to tooth loss and possibly systemic (whole-body) inflammation. In many ways, the health of the mouth mirrors the health of the body. Diseases in other parts of the body often cause symptoms we can observe in the mouth; likewise, oral maladies (like tooth loss) not only reduce an individual’s quality of life, but may also lead to problems in other areas. That’s another reason why maintaining good oral hygiene is so important. How to Brush Your Teeth Brush and Floss. You should brush at least twice a day and floss at least once daily. This will help remove plaque, a bacteria-laden biofilm, from the surfaces of your teeth. The bacteria in plaque can turn sugars from food into acids, which attack the tooth’s enamel and cause tooth decay. Some bacteria can also cause gingivitis and other gum diseases. Make sure you’re getting the proper amount of fluoride. Fluoride strengthens tooth enamel — it’s essential for children’s developing teeth, and helps prevent decay in both kids and adults. Even if your municipal water is fluoridated, you should always use fluoride toothpaste. If more fluoride is needed, it can be applied directly to your teeth at the dental office. Use an appropriate mouthrinse — especially if you’re at increased risk. Therapeutic mouthrinses do more than temporarily mask bad smells or tastes in your mouth — they can improve your overall oral hygiene. While some over-the counter products offer primarily “cosmetic” benefits, therapeutic rinses contain anti-bacterial and anti-cariogenic (cavity-fighting) ingredients. Using a therapeutic mouthrinse has been proven to control plaque bacteria and prevent cavities better than brushing and flossing alone. Examine your mouth regularly. Once you’ve established a regular routine, you’ll quickly recognize any changes in your mouth — like chipped teeth, red or swollen gums, or unusual sores. If you find something of concern, let us know. Early treatment offers the best chance to remedy many problems. If you’re like most people, you probably learned how to brush as a child… and chances are, you haven’t thought about it much since then. That’s understandable — but there may come a point when we find our oral hygiene techniques could use improvement. Here are a few tips on the proper way to brush your teeth… plus, a reminder of why we do it. First, the reasons why: Brushing is an effective way to remove plaque — a sticky, bacteria-laden biofilm that clings stubbornly to your teeth. The bacteria in plaque produce acids, which erode the tooth’s enamel and may lead to tooth decay. Plaque can also cause gum disease and bad breath. In fact, it’s believed that over 90% of dental disease is caused by plaque accumulation alone. Besides removing plaque, the fluoride in toothpaste strengthens tooth enamel and makes teeth more decay-resistant. Plus, brushing makes your mouth feel cleaner and your breath smell fresher. While there is no single “right” way to brush your teeth, there are a number of techniques that can help you get them squeaky-clean. 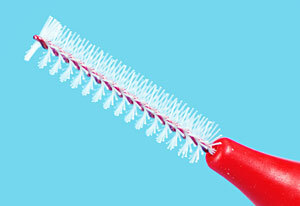 So why wait — let’s take a refresher course in brushing right now! Now it’s time for the chewing surfaces: Holding the bristles flat against the molars, clean the ridges and valleys of the back teeth. Do this for all the top and bottom teeth. How good a brushing job did you do? One way to get an idea is by simply running your tongue over your teeth: If they feel slick and smooth, then chances are they’re clean. If not, you should try again. To know for sure whether you’re brushing effectively, you can use a “disclosing solution” — a special dye that highlights plaque and debris your brushing missed. One common error is not brushing for long enough: two minutes is about the minimum time you need to do a thorough job. If you have music in the bathroom, you could try brushing along with a pop song; when the song’s over, you’re done! But no matter your musical taste, good brushing technique can go a long way toward maintaining tip-top oral hygiene. 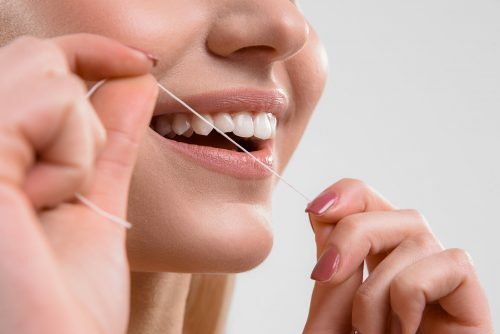 If you’re having trouble with the two-finger method, here’s another way to try flossing: Just tie the same amount of floss into a big loop, place all your fingers (but not thumbs) inside the loop, and work it around your teeth with index fingers and thumbs. All the other steps remain the same. Once you’ve got the basics down, there are a few different types of flosses you can try, including flavored, waxed, and wider width. Some people find waxed floss slides more easily into tighter gaps between teeth or restorations — but it may not make that satisfying “squeak” as it’s cleaning. Others prefer wide floss for cleaning around bridgework. But whichever way works best for you, the important thing is to keep it up! The short answer: Yes, at least once a day. Flossing is probably your single most important weapon against plaque, the clingy bacterial biofilm that sticks to the surfaces of your teeth. Plaque is the principal cause of tooth decay; but it is also the cause of periodontitis (gum disease), bad breath, and other maladies. Brushing is a good start — but flossing removes plaque in places a brush can’t reach, like the small gaps between teeth and under the gums. It also polishes tooth surfaces and decreases the risk of gum disease. Some people may think they don’t have time to floss, but once you get the hang of it, flossing only takes few minutes. If you are going to floss only once a day, it’s best to do it at night just before going to sleep. That’s because there is less saliva present in your mouth when you are sleeping, so plaque is more concentrated and potentially more harmful. Just in case you never really learned proper flossing techniques, here’s a step by step approach including some easy tips for doing a great job. TIP: Even if the gap is tight, try not to snap the floss into your gums as you’re inserting it. A side-to-side sawing motion is good to use here, but only when slipping the floss gently between the teeth. Slide the floss out from between the teeth. If it’s frayed or brownish, that’s good: you’re removing plaque! Unwind a little new floss from the “dispenser” finger, and take up the used floss on the other finger. Repeat the process on the next space between teeth. Work all around the mouth — and don’t forget back sides of the last molars. It’s important to keep in mind that many off-the-shelf mouthrinses are primarily cosmetic: That means, they may (temporarily) make your mouth taste or smell good, but they don’t offer any lasting benefit to your oral health. There’s nothing wrong with that — as long as you weren’t expecting anything more. But if you’ve been told that you are at risk for tooth decay or gum disease, you’ll want to use a mouthrinse that has proven clinical benefits. To help prevent tooth decay, anti-cariogenic mouthrinses use an ingredient you’re probably already familiar with: fluoride. This is often in the form of a .05% sodium fluoride solution. 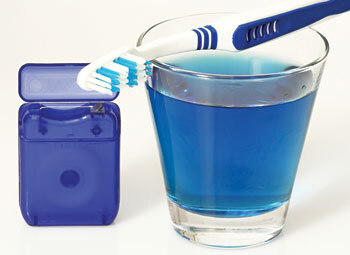 Because it’s a liquid, the rinse can get all around your teeth — even into spaces the smallest brush can’t reach. Fluoride has been consistently proven to strengthen tooth enamel, which protects against decay; it can even reduce tiny lesions on teeth where a cavity may form. 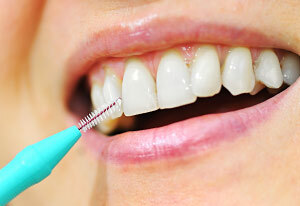 There’s hardly anyone who couldn’t use some extra help in the fight against cavities — but if you’ve been told you may be at a higher risk for tooth decay, or if you have difficulty brushing and flossing, then an anti-cariogenic rinse is a good choice for you. If you’re shopping for an over-the-counter therapeutic mouthrinse, look for the ADA (American Dental Association) seal on the label; it means that the product has been evaluated and proven effective by an independent panel of dental experts. If a mouthrinse has been prescribed for you, you should carefully follow the usage instructions. 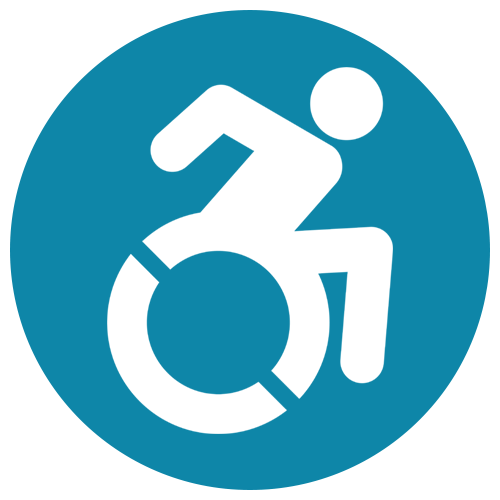 (Note, however, that due to labeling rules, prescription mouthrinses may not be eligible for the ADA seal.) Mouthrinses can benefit most people, but they generally aren’t recommended for children under the age of six, who may swallow them. Teeth can last a lifetime if you take care of them right — and the best time to start is just as soon as they begin appearing. By establishing good oral hygiene routines for your children right from the start, you’ll give them the best chance of keeping their teeth healthy — forever. Babies can develop a form of tooth decay known as early childhood caries. This occurs when they are allowed to go to sleep with a bottle that’s filled with anything but water. The sugars in formula, milk (even breast milk) and juice can pool around the teeth and feed decay-causing bacteria. When it comes to bedtime soothing, a pacifier or bottle filled with water is safer for developing teeth — that is, until about age 3. At that point, sucking habits should be gently discouraged to prevent orthodontic problems from developing later on. Brush your baby’s first teeth gently with a small, soft-bristled toothbrush, using just a thin smear of fluoride toothpaste, at least once a day at bedtime. Before a tooth is fully erupted, you can use a water-soaked gauze pad to clean around the tooth and gums. Starting at age 3, you can begin teaching your child to brush with a children’s toothbrush and no more than a pea-sized amount of fluoride toothpaste. But remember, children will need help with this important task until about age 6, when they have the fine motor skills to do an effective job themselves. It’s also extremely important to start encouraging healthy dietary habits at this time. Your child will have less plaque buildup and decay if you place limits on soda and sugary snack consumption. As a parent, you can model this behavior to instill it in your child. After all, monkey see, monkey do! Any sugary treats that are allowed should come at mealtimes, not in between. This will ensure your child is not creating favorable conditions for oral bacteria to grow around the clock. At your child’s regular, twice-yearly dental checkups and cleanings, topical fluoride can be applied to strengthen tooth enamel and make it more resistant to erosion and decay. If necessary, dental sealants can be applied to the back teeth (molars) to prevent food particles and bacteria from building up in the tiny grooves where a toothbrush can’t reach. Remember, it’s never too soon to help your child develop good oral hygiene habits that will last a lifetime. Cavity prevention starts with a good oral hygiene routine. This will remove dental plaque — a sticky film that harbors food particles and harmful bacteria. 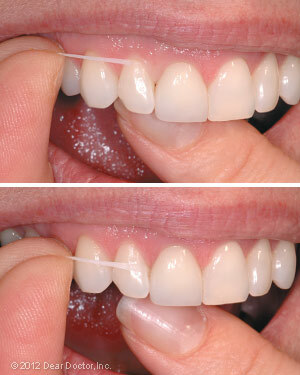 Flossing is particularly important because a toothbrush can’t reach in between the teeth the way floss can. Make sure to floss both sides of every tooth, including the back molars, at least once each day. Brush your teeth at least twice each day, using a toothpaste that contains fluoride — a mineral that can become part of your tooth enamel and actually repair tiny cavities that are starting to form. Routine professional cleanings and exams are a great way to maintain excellent oral health. Your dental hygienist can clean areas of your mouth that you can’t reach with your toothbrush or even with floss. We can check for early signs of tooth decay and take prompt action. What’s more, we can recommend specific preventive treatments if you are particularly prone to cavities. These include in-office fluoride treatments and dental sealants, both of which are quick, easy and effective procedures. Special mouthrinses might also be recommended. Working together, we can make sure your oral hygiene routine is all it should be and that decay is kept at bay. 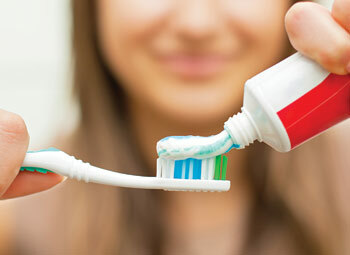 Toothpaste: It’s something most people use every day, but rarely give much thought to — except, perhaps, when choosing from among the dozens of brands that line the drugstore shelf. Is there any difference between them? What’s toothpaste made of… and does it really do what it promises on the box? To answer those questions, let’s take a closer look inside the tube. Whitening toothpastes generally contain special abrasives or enzymes designed to help remove stains on the tooth’s surfaces. Whether or not they will work for you depends on why your teeth aren’t white in the first place: If it’s an extrinsic (surface) stain, they can be effective; however, they probably won’t help with intrinsic (internal) discoloration, which may require a professional whitening treatment. What’s the best way to choose a toothpaste? The main thing you should look for is the American Dental Association (ADA) Seal of Acceptance on the label. It means that the toothpaste contains fluoride — and that the manufacturer’s other claims have been independently tested and verified. But once you’ve chosen your favorite, keep this bit of dental wisdom in mind: It’s not the brush (or the paste) that keeps your mouth healthy — it’s the hand that holds it. Don’t forget that regular brushing is one of the best ways to prevent tooth decay and maintain good oral hygiene. We’ll make the process of paying for your dental care as simple as possible! 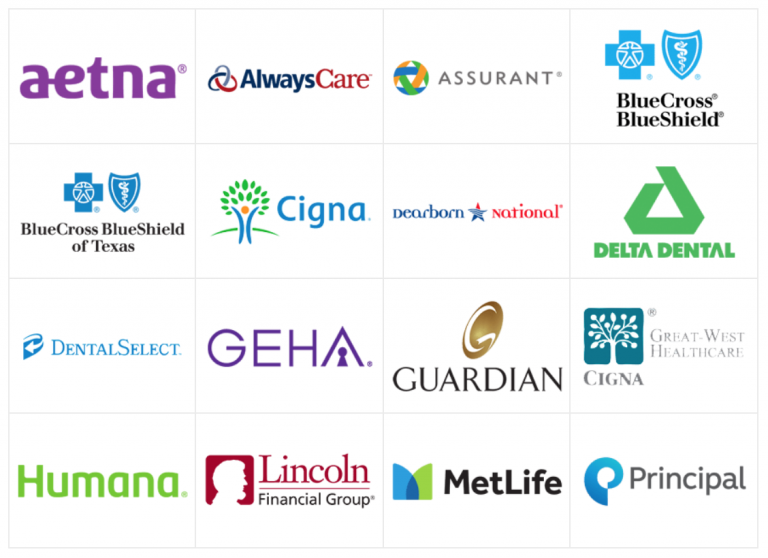 Our office accepts a wide variety of insurance plans, and we’re always happy to file your claim for you so that you can be sure to receive the maximum benefits available to you. 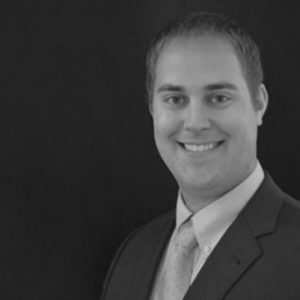 Family Dentist – Charles C.Anderson, DDS is in network with Delta Dental, Metlife, Cigna, BlueCross BlueShield, Guardian, United Healthcare, and more! Call us today to find out how we can maximize your insurance plan! 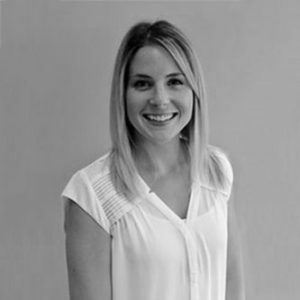 "I always feel well taken care of and informed at Anderson Dental. The staff and dentists are friendly and take great care of their patients, the office is clean, and I feel that their technology and practices are up to speed with current standards. Just had fillings swapped - was pain free, quick, and professional! Thanks!" "The staff was great! They were extreamly friendly and accommodating. They were willing to watch our 1 year old while we got our teeth cleaned. After struggling to find a new dentist I am glad I came across them. Will refer people looking for a dentist to them. Great experience." 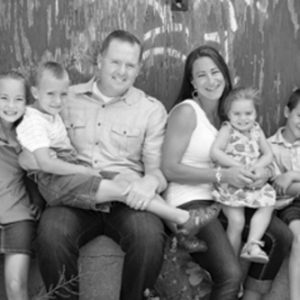 "First experience with Anderson Family Dental. Dental care needed was fairly extensive. Experience was outstanding! Very calm and friendly approach by the entire staff. Thank you. Continued great care! Looking forward to the new office!" "Great Dentist and great staff. Every procedure is done very well. Dr. Anderson is the best doctor at giving novocaine I have ever experienced, which helps make getting dental work a breeze. Didn't even feel a pinch." Open Daily For Your Convenience! © 2018 Charles C. Anderson, DDS All Rights Reserved.